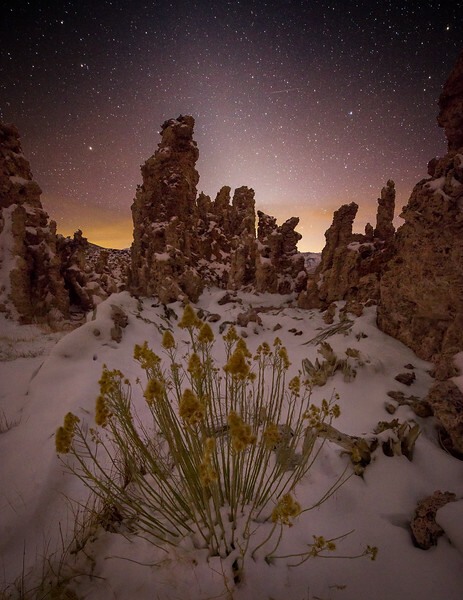 I saw that the Mono Lake area had received some heavy snow and that it would be cold for a few days, keeping the snow on the tufas, so I headed up. I went to the South Tufa area and headed West and found this beautiful bloom of rabbit brush with a nice tufa formation behind it and the glow of Zodiacal light behind it. A fortuitous alignment.